I have been a fan of Latest in Beauty for quite a while now, I stumbled upon them looking through make-up subscription box services. I discovered my first Glamour box in November and have purchased nearly every single beauty box that Latest in Beauty has released. Latest in Beauty selects and creates collections of beauty and hair products that are well recommended, and allows readers like us to try new things, for a fraction of the price. The boxes contains a mix of FULL SIZE and SAMPLE products. 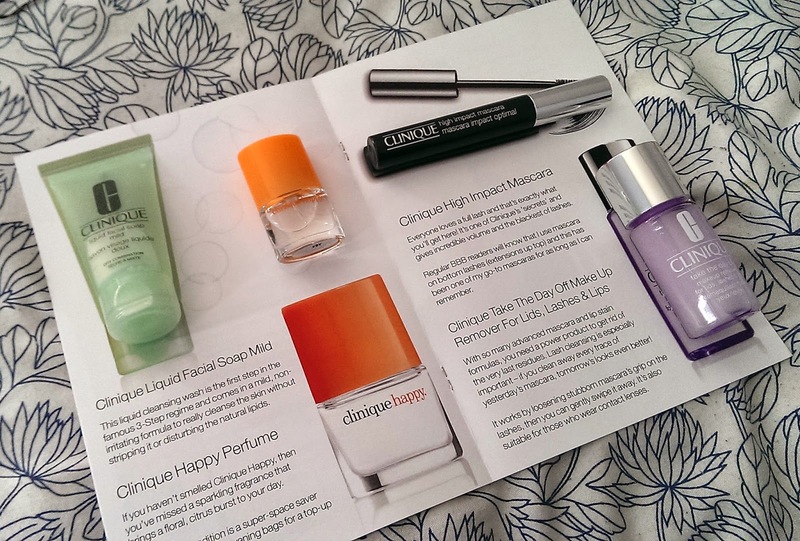 Going back to the title, this limited edition beauty box is curated by British Beauty Blogger and has a selection of her top beauty picks from Clinique which are allergy tested and 100% fragrance free. 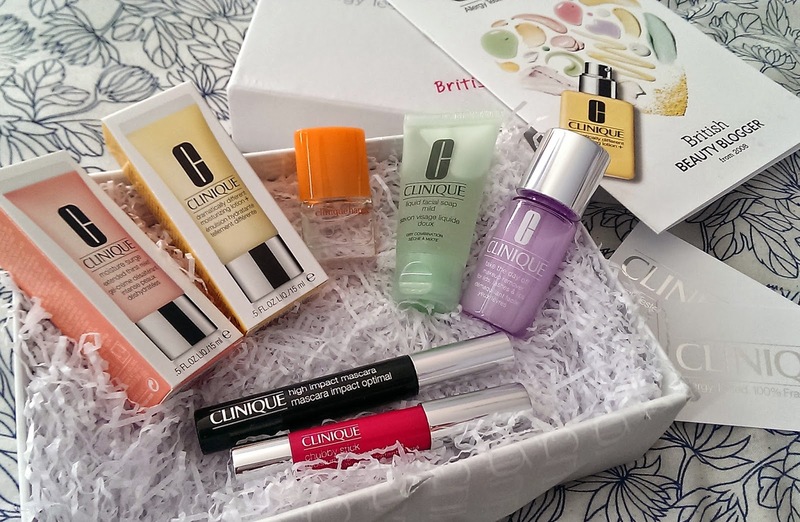 The #BBBCLINQUE box contains 7 samples, 2 which are full size, a £10 voucher to shop on Clinique, an invitation for a complimentary Clinique service and an information booklet about the products. 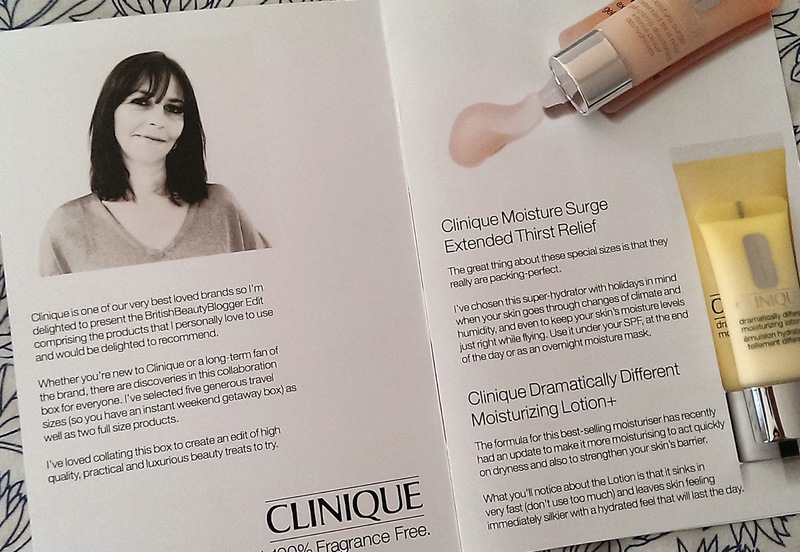 Clinique Moisture Surge Extended Thirst Relief - My skin reacts really well with gel formulated cremes as it instantly hydrates, this little sample to test is recommended for travelling to retain moisture levels and helps the skin adapt through climate changes and humidity. This is definitely one of the items I will purchase if I see a difference in my skin. Clinique Dramatically Different Moisturizing Lotion + - This is Clinique's best selling moisturiser. I have used this before, however it broke me out, maybe it's too 'healthy' for my skin, I might give it another go as the formula has been changed or give it to my sister as she has dry skin. Clinique Liquid Facial Soap Mild - Part of the famous 3-step regime, comes in a non-irritating formula and really cleans the skin. I personally can't remember how I felt about this, maybe I used it when I was a bit too young when I was suffering from mild acne . Clinique Happy Perfume - This has a floral, citrus scent, in travel size. It smells fresh - I am not good describing perfumes! Clinique High Impact Mascara (FULL SIZE) - As the packaging says, this mascara gives you incredible volume and intense black lashes. I love a big wand and I am excited to try this beauty out. Clinique Take The Day Off Make Up Remover For Lids, Lashes & Lips - This takes off stubborn mascara and lip products. I will save this for when I go on holiday because no one wants to spend majority of prep sleep time removing stubborn make-up. 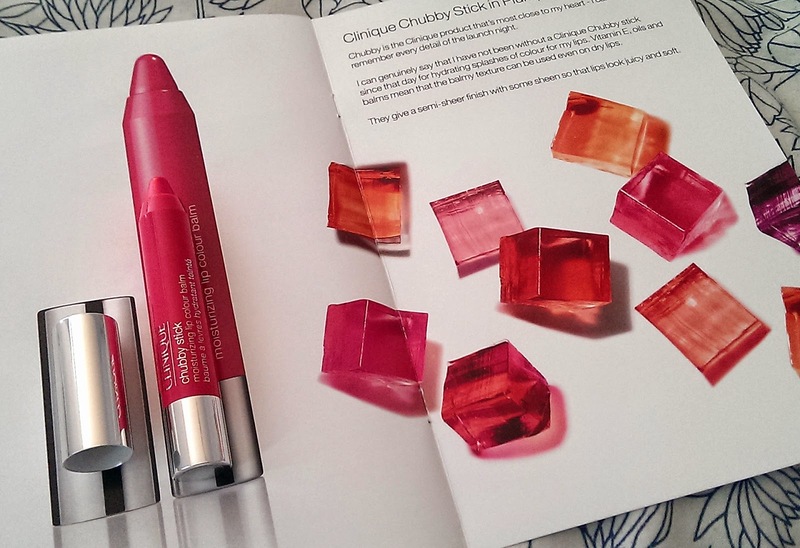 Last but not least, Clinique Chubby Stick in Plumped Up Pink - Everyone can remember the hype on this, so it needs no explanation, I believe this started off the tinted lip balms. Thank-you for reading this, I will be updated with reviews through later post. clinique is my favourite scin care cosmetics. it's affordable and works well. Oh amazing box. Great range of products!) Hope you enjoyed it. That's so cool! Really trust BBB's reviews. Hey, Id just like to let you know I've nominated you for the liebster blog award! Check it out..